Srinagar : A paramilitary trooper was killed in an ongoing gunfight with militants holed up in a building after a failed terror bid on a CRPF camp in Srinagar, police said. The trooper was wounded in the shootout as the security forces prepared for a final assault against the holed-up militants, a police officer said. He was shifted to the nearby SMHS hospital, barely 300 metres away from the site of the gunfight, and died later. It was the same hospital from where Pakistani LeT militant Naveed Jat alias Abu Hunzullah managed to escape on February 6 after killing two policemen. Police said residents in the vicinity have been evacuated to safety. Troops of the CRPF and the Special Operations Group (SOG) of Jammu and Kashmir Police were carrying out the operation against the militants. Kashmir police chief S.P. Vaid in a tweet said: "I congratulate alert CRPF sentry for averting Suicidal attack in Karan nagar Srinagar. Fortunately two terrorists are in cordon & exchange of fire going on." Earlier around 4.30 a.m., two militants were spotted by an alert sentry at the observation post of 23rd battalion of the CRPF in Karan Nagar area. The two were forced to flee as the alert sentry fired at them. 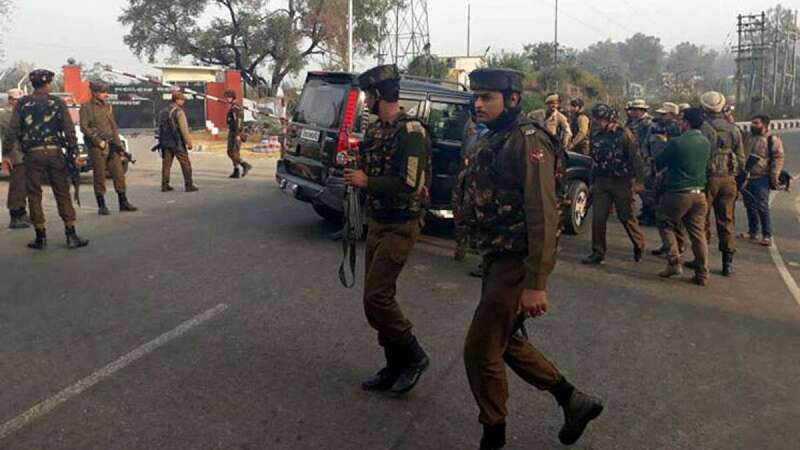 Searches in the area revealed that the militants, carrying backpacks and AK-47 rifles, had taken shelter in a building near the CRPF camp, which was then surrounded. After the hiding militants were challenged, they fired at the security forces triggering a gunfight, that is still on. The attempted terror bid on the CRPF camp comes close on the heels of the Sunjuwan military camp attack, in which six people were killed.